RV Driving can be more challenging, for sure. However, it can also be a matter of mind over mass! Here's a picture of an incredibly curvy, twisty road in Arizona. 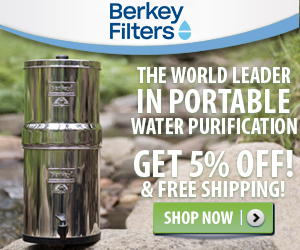 Do NOT try this one on your first "RV Trip"! Worse, it seems to go on for miles - and it's all down a very steep incline - even more fun! 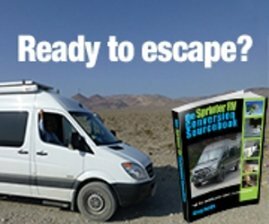 YOU must believe in yourself and what you are doing and then take control of the roadway - driving an RV. 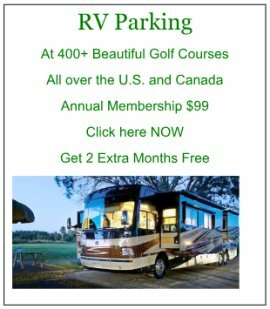 Depending on the type of RV you have will also determine how much of a learning curve you'll go through. If you are pulling a camper, pod or a 5th wheel, with a regular pickup truck, it really isn't that difficult. If the pickup truck has the extra wheels on the rear (called duals), then you have to pay more attention to your overall width. Many times those wheels will make you wider than the RV you are towing. Backing up an RV - either a self contained RV or a camper, 5th wheel or a trailer is definitely a mindset. Driving an RV in that situation will require more "pay attention" time. The advantage to driving these vehicles is the front wheel steering and characteristics of the vehicle doing the pulling are the same as a car. Since you are longer in length than normal, wide, swinging types of turns will be necessary. The wheels of the trailer will cut a little sharper than the pulling vehicle. Because of that, swinging longer and wider on turns will be necessary. RV Driving a self-contained vehicle requires a little more attention. The shorter and more compact, the easier. If you are driving a Class A, B or C with a front engine (usually gas), the steering feel and characteristics are the same as a car - the wheels are out in front. The longer you are in length, the wider and longer you go, before making the actual turn. Mirrors are very important in any of these situations - they become your best friends! One must always remember to allow enough room on the roadway for the rear most wheels of the vehicle to NOT hit the curb, when turning. The sidewalls of all tires are not as strong and will cut very easily if rubbed too many times against curbs. Class A diesel pushers require a different type of RV Driving because the engine is in the rear. This allows the front steering wheels to be further back in the chassis, actually below the driver - rather than out front as in all other RV's. The easiest way to understand this is look at a Class A Diesel Pusher from the side. Notice that the front wheels are back from the front bumper and below the driver/passenger seats. This "bus type" of steering actually allows for tighter turns. However, high winds will have an adverse effect on the "bus type" steering. Aside from that, it really works well - but requires a very different mindset of where you are in relation to the roadway, etc. Just for starters, you can't see where your front bumper is - except it is way out there! Also, when you are steering on a normal roadway, you have to allow for the front bumper to actually be "out-there" so you don't steer too tightly. Mirrors are critical while driving a bus type steering vehicle. All steering and turns, etc. are steered to the rear wheels! Therefore, you must have your mirrors positioned so you can see your rear wheels - all the time! Parking an RV or driving an RV well, will be totally dependent on your mirrors. An interesting exercise is to have a co-pilot watch your front on a "not busy" interstate while you steer - looking only in your rear view mirror - typically the driver side one! You can place your rear wheels just where you want them beside the yellow lines and then steering your front wheels to that sensation. It gives you a different sensation as to the relationship between the rear wheels and the front steering. 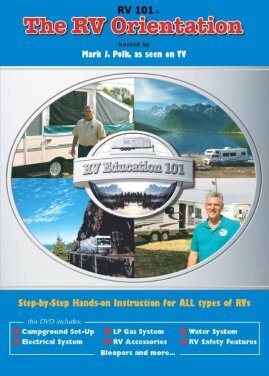 Here's an excellent way to learn how to drive your RV the right way!! Mark covers all aspects and makes you feel at home while tackling this difficult subject.